Nan decided to continue across the country alone. What she discovered about solo travel, and herself, surprised her. 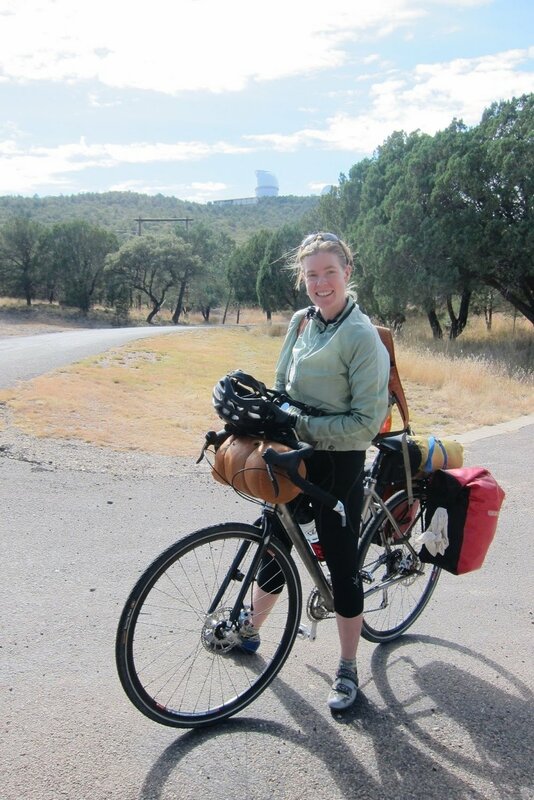 What inspired you to bike across the country when you were 28? When I was in high school, my dad read A Walk Across America by Peter Jenkins. I read it before going to college and fell in love with the grand adventure. At the time, I didn't have a desire to walk across the US or hike the Appalachian Trail, but I loved the idea of doing something that pushes oneself both physically and mentally for an extended amount of time. Also, I grew up in Louisiana where people don’t play in the wilderness. Since I left home for college, I’ve been pursuing the outdoors. The outdoors give me freedom, a sense of belonging, feeling small yet powerful, and it helps to make me a better person. I started leading backpacking trips when I was 20. By the time I was 28, I wanted to do a grand trip. I figured, why not ride across the county? Why did you want to take a partner along for the ride? I didn’t have the confidence or desire to try it solo: cities worried me. But from my 8 years of experience leading backpacking trips, I knew I could work with almost anyone. So I went to the “Companions Wanted” page on Adventure Cycling’s website, and found a guy on there who was doing a route that looked cool. We were going to start in Mount Shasta, California, then head south to San Diego and across the Southern Tier to Florida. "From my 8 years of experience leading backpacking trips, I knew I could work with almost anyone. So I went to the 'Companions Wanted' page, and found a guy." Was it daunting to ask a stranger to be your traveling companion? I think it’s important to talk about expectations, goals, style, and vision for the ride with a partner beforehand. We also talked with each others’ friends and family. I went on the trip knowing that I could part ways with him at any time. Unfortunately, my cycling companion was hit by a car on day one, outside the campground where we were going to stay. So we didn’t really have the chance to figure things out. Oh my God! Was he alright? He broke two ribs and was not able to keep going. He was very lucky: no damage to his bike and he didn't hit his head. I kept going solo. "I decided to keep riding, at least to see how it went that day." What was that like, to find yourself suddenly on a solo adventure when you’d been planning to have a companion? That night and the next day were challenging. I am so lucky for the wonderful hosts at McArthur Burney State Park, Gloria and David, who took me in and treated me like a daughter after the crash. Gloria gave me a bagel the morning after, since our oats were all over the road from the fall. I decided to keep riding, at least to see how it went that day. 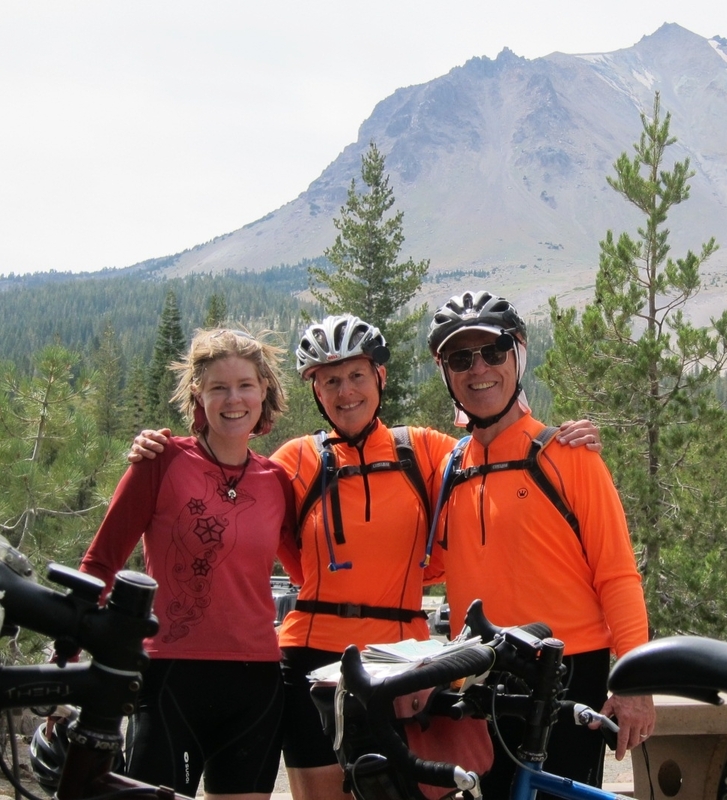 As I was heading out of the park, I ran into a couple who I’d met in Mt Shasta. We were all heading south, so I asked if I could ride with them. They said yes, but I could tell they didn’t want to take on a project. They didn’t know about my background as an outdoor educator and backpacking instructor. It was lovely, we took care of each other. I would cook and show them camping tricks, and they taught me tricks for touring. They are the same age as my parents, so I started calling them my “cycling parents.” We toured together for 10 days, then our routes changed. We’re still close friends. "I started calling them my 'cycling parents.' We toured together for 10 days, then our routes changed. We’re still close friends." What surprised you about solo travel? Not many women travel solo, which I didn’t realize until about 2/3 though the trip. I stayed with a Warmshowers host during a long cycling stretch with few services, and the family said they only host a solo female about once a season! I was frequently asked, “are you riding solo? !” I started to answer, “Guilty.” I find it crazy, that folks question me as a woman when they wouldn’t question a guy the same way. What do you enjoy about bike touring? The pace: it’s fast enough to cover miles but slow enough to see the changes. Also, I tend to have more conversations with locals. I did a solo bikepacking trip once, but I didn’t meet as many people, and that was hard. I need to talk with people. "I did a solo bikepacking trip once, but I didn’t meet as many people, and that was hard. I need to talk with people." Is solo travel by bike something you want to do again? YES! Today, I have a wonderful boyfriend who also enjoys traveling by bike. We’ve done a few “bikepacking races” where we each do our own thing. I love it! I get to do my thing, stop and smell the roses, and he gets to go silly fast. We are planning our first tour together as well. Pro - Kindness. I found people were kind and willing to help. Did family/friends express concern for your safety, especially after you decided to continue your tour alone? How did you respond to them? My parents wanted me to carry a gun! I carried bear spray but never felt I needed it. I tell my parents, this is part of who I am, I need to feel this part of my soul. But they don’t agree with many of my life choices. When folks are encouraging and supportive, I think, “they get this.” Not everyone is going to get it, and that’s ok. I get it, and that is enough. Not everyone is going to get it, and that’s ok."
Know another fabulous lady cyclist I should interview? Ready for more inspiring stories? Peruse the Interviews.